"Academics cannot seek shelter behind their much-touted freedom, while denying the students' right to express their own opinions. If what is alleged in Ha'aretz is true, then these TAU professors are violating the law." According to a recent report in Ha'aretz, students at Tel Aviv University are complaining bitterly about leftist professors. The students are said to be hurt by the professors' positions, "but are afraid to express contrary views, lest this harm their grades." So wrote Prof. Nira Hativa, head of the university's center for advancement of teaching. She added that in many end-of-year feedback forms, students complained about professors who "attack the state of Israel, the IDF, the Zionist movement and even worse than that." She also added that the complaints allege that "Leftist professors, as distinct from rightist ones, feel absolutely free to express their political views, even when there is no relevance whatsoever to the subject they teach." The head of the university's student union tells of similar student complaints, and the talkbacks to this news item - whatever their credibility - also told about students who are afraid to argue with such professors. THIS NEWS item did not surprise me. A small group of anti-Zionist, anti-Israel faculty members has turned Tel Aviv University into a podium from which to broadcast their political propaganda. Two notable instances: a group of 30 professors signed a pro-Iranian petition last year warning against Israeli and American designs and "adventurism" against the Islamic Republic, without even mentioning its president's threat to wipe Israel off the map and his Holocaust-denying outbursts. The second example was a conference held by the Tel Aviv Law School in which the subject was the alleged mistreatment of "political prisoners" (i.e. convicted Palestinian terrorists) that invited, as guest speaker, a released prisoner sentenced to 27 years in jail for throwing a bomb into a Jewish civilian bus. This is not academic freedom. This is using academic podiums to deliver Israel-bashing propaganda. When I taught at Columbia University, I could see how TAU guest professors would stoke the flames of anti-Israel rhetoric; one of them insisted that the university show the film Jenin, Jenin, which charges Israel with perpetrating a famously imaginary massacre. The usual defense of these TAU excesses is that all professors are entitled to academic freedom. This is inherently true in principle. Academic freedom, a special niche of the freedom of speech principle enshrined in Israeli law, should incorporate marginal and iconoclastic views. This is especially true in a society like Israel which suffers from a constant state of emergency and stress. But academic freedom, like all human rights, is not unlimited. Austrian and German courts rightly decided that Holocaust denial is not protected speech; Jean Paul Sartre went further, believing that all anti-Semitic expressions are unprotected by the right to freedom of speech. A call to boycott Israel, such as was made by a lecturer at Ben-Gurion University's political science department, is certainly unprotected, in a similar way to the Supreme Court's ruling that a party which seeks the destruction of Israel cannot run in the Knesset elections. But there is one further point: academics cannot seek shelter behind their much-touted freedom, while denying the students' right to express their own opinions. If what is alleged in Ha'aretz is true, then these TAU professors are violating the law. Article 5 of the Student's Rights Law states this explicitly: "Every student has the freedom to express his views and opinions as to the contents of the syllabus and the values incorporated therein." In other words, the students, too, have a measure of academic freedom. If the allegations made by the students - probably mainly in TAU's social sciences departments - are true, the university is violating the students' lawful rights. The writer is a professor of law at the Interdisciplinary Center Herzliya, a former education minister and Knesset member, as well as the recipient of the 2006 Israel Prize in Law. I asked myself what would have happened if I had to give a lecture on Norway, Switzerland and the Swiss in Norway. I looked in Google and I did not see any way to fill half an hour. 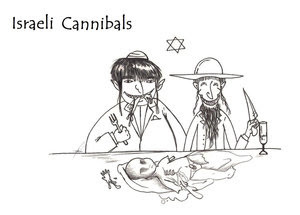 When speaking about Norway, Israel and the Jews, however, there is so much material that one wonders where to start. Israel is far away from Norway. It has as many inhabitants as Switzerland, on which you find very little in the Norwegian papers. On the other hand part of the Norwegian elite, which falsely calls itself progressive, is obsessed with another small country, Israel. This includes the leftwing government, many media, NGOs and part of the academic world. There are at most 1 300 Jews in Norway, of which 700 are organized in two communities, Oslo and Trondheim. They also are subject to the obsessive attention of the Norwegian elite. The subject of today is complex and difficult to handle in a short time span. So, let’s try to get into the mood quickly with a little quiz. Trade Union and Media : I could have spent the entire time on this presentation with similar questions. The Norwegian trade union LO was among the first trade unions to call for a boycott of Israel in 2002. The then leader Gerd-Liv Valla later had to resign because of her misbehavior on other matters. In 2009 the current leader of that trade union Roar Flathens attacked only one country in his 1 May speech this year – of course it was Israel. 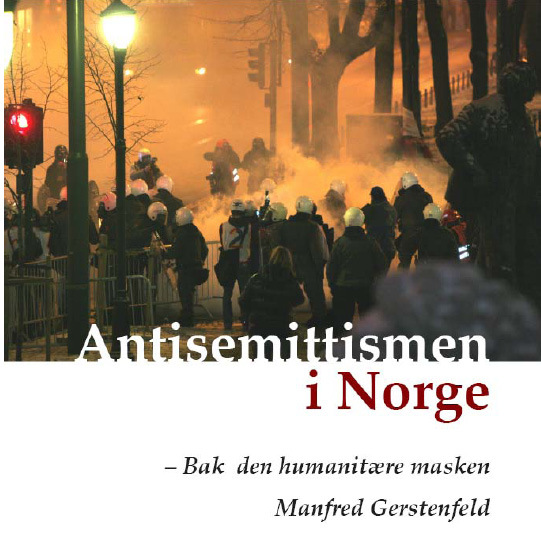 Another Obsession: No anti-Semitism : Besides the obsession with Israel, there is another obsession in Norway which concerns the Jewish people. That is the obsessive way in which one is told by many Norwegians that there is no anti-Semitism in Norway. The wealth gained from oil and gas has enabled the Norwegian government to build a new mythology. Norway may be small in population, but it is great in charitable, humanitarian aid. This is what I call Norway’s "humanitarian mask." 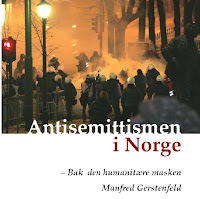 As Gerald Steinberg and Yael Beck show in an article in my upcoming book in Norwegian, under the heading "humanitarian aid" Norway provides substantial funds to Palestinian and other NGOs which incite against Israel. Oops! I arrived about ten minutes late. The audience was scattered. "Israel is for the EU not a country like the others. There is no other country in the world with whom we have such visible and invisible links. Israel is part of our own history, our own culture and our own life." 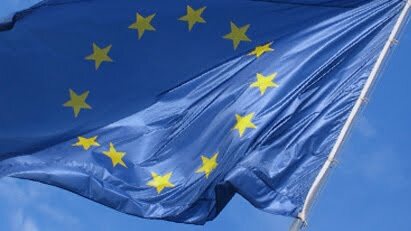 BRUSSELS (EJP, article by Yossi Lempkowicz) - An EU senior official said the European Union should upgrade its political and economic relations with Israel – frozen after the Gaza war in January - and grant this country the same status enjoyed by Norway. Speaking at an event dinner organized Tuesday in Brussels to mark the 50 years of diplomatic relations between the EU and Israel, Günter Verheugen, German Vice-President of the European Commission responsible for Enterprise and Industry, said: "We should give Israel a long-term and clear credible European perspective". The process of upgrading the EU's relations with Israel, decided last year, was put "on hold" after Israel’s operation against Hamas in Gaza and linked to the restart of Mideast peace talks. While not an EU member state, Norway required to adopt much EU legislation due to its participation in the European Economic Area (EEA), through the European Free Trade Association (EFTA). The country has also chosen for participation in many of the EU’s programmes, institutions and activities. "Israel is for the EU not a country like the others. There is no other country in the world with whom we have such visible and invisible links. Israel is part of our own history, our own culture and our own life," Verheugen said. "We cannot deliver hard security to Israel but we can strengthen our economic and political relations", Verheugen, who described himself as "definitely pro-Israel", added. At the event, organized by the Mission of Israel to the EU and the Konrad-Adenauer Foundation, Stanley Fischer, Governer of the Bank of Israel, emphasized the "resilience" of his country’s economy, which has been less hit by the crisis, and said the success and vitality of the high tech sector in Israel "should be an example for Europe where it has been less successful". Israel’s ambassador to the EU, Ran Curiel, said EU-Israel relations are based on a long shared history of the Jewish people and Europe "with its lights and shadows". "We have much more in common than what may seem to separate us. The long-term interests of Israel and Europe are identical especially when it comes to the future of the Middle East. Israel and Europe both seek peace, stability and development." He noted that the political dialogue between Israel and Europe has improved substantially in the last couple of years. The EU and Israel are linked by an association agreement since 1995, which came into force in 2000. The EU is Israel’s main trading partner and Israel participates in several EU programs. Israel hopes that the upgrade of its relations with the EU would take place during Spain’s EU presidency in the first semester of 2010. 54.4% of the respondents said that Islam was an intolerant religion. 22% thought that most Muslims justify terrorism. About Jews people were more positive: 62% thought that Jews enrich the culture. 24.4% think Jews have too much influence in their country. 31.1% think that there's a natural hierarchy between Blacks and Whites. The survey was conducted by the Institut für interdisziplinäre Konflikt- und Gewaltforschung of the University of Bielefeld, Germany. Massimo D’Alema, anti-Israel’ Italian politician to become EU Foreign Minister ? An Italian politician perceived as "anti-Israeli and anti-American" has emerged as frontrunner for the post of future EU Foreign Minister after British David Milliband killed off speculation that he would be interested, saying he prefers to serve for Britain. The current Swedish EU presidency under Prime Minister Fredrik Reinfeldt has called for an emergency summit in Brussels next Thursday to settle the question of the designation of the two posts. Reinfeldt announced that after taking soundings from the other 26 heads of government this week, there was no sign of a consensus. [...] Gordon Brown is said to be still pushing for Tony Blair to be given the job of President but despite Europe’s Social Democrats backing for Massimo D'Alema, it is not clear if the Prime Minister, one of Europe's few Social Democratic Prime Ministers (as Labour party chief), will vote for him. The new eastern European member states are opposed to D'Alema because of his Communist past. D'Alema, 60, is a member of Italy's main opposition party, the centre-left Democratic Party, but has apparently the backing of Italian Prime Minister Silvio Berlusconi. He was Deputy Prime Minister and Foreign Minister from 2006 to 2008 after Romano Prodi’s center-left coalition, won the elections. During that time, he was at the center of several polemics with the Italian Jewish community and Israel’s embassy in Rome for his stance and statements on the Israeli-Palestinian conflict. As Foreign Minister, "he didn’t miss a single occasion to criticize Israel", a Jewish community leader in Rome has said. "On several occasions he stated his position in favour of talks with Hamas and Hezbollah," according to Ricardo Pacifici. 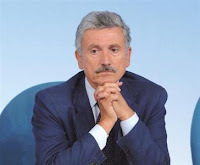 In 2007, D’Alema criticized the Jewish community by saying: "What strikes me is that the most reasonable sectors of Israeli politics are not adequately supported by the more democratic Jewish world". According to The Guardian newspaper, the Israeli embassy in Brussels is understood to have voiced objections to a possible D'Alema appointment as foreign policy chief. "[...] last weekend I duly RSVP'd to a guests-only invitation to the Al-Quds Underground, touted as an unconventional festival with more than 150 small shows in private spaces in the Old City. Performances included music, storytelling, dancing, short acts and food. Locations were living rooms, a library, courtyards, gardens and more unique places. My expectation of a celebration of Jerusalem's diversity was dashed, however, when I arrived late Saturday afternoon at the Damascus Gate meeting point. Politely asked in English by Jamal Goseh, the director of the a-Nuzha Hakawati Theater near the American Colony Hotel, "Where do you live?" I responded in Arabic that I live in Jerusalem. From my accent and appearance, he discerned that I am an Israeli. And so here it is. For the sake of fairness, I met Twaalfhoven the next day to allow him an opportunity to explain... or dig himself a deeper hole. (Goseh declined my request for an interview.) "We want to bring art to the world," he began. "I sometimes break through the boundaries between art and life. That is the core of my work." Apologetic over what had happened, he then spilled the beans. The €50,000 project was funded by the European Union through the Dutch charity Cordaid [the Dutch Catholic organisation for relief and development aid NGO has often been criticised by NGO Monitor for its anti-Israeli stance] and the Alexandria-based Anna Lindh Euro-Mediterranean Foundation for the Dialogue between Cultures [co-funded by the European Union]. To have said no to racism would have meant to scuttle the budget. Al-Quds Underground's no-Israelis rule is part of a larger policy set by the Palestinian Boycott Divestment and Sanctions National Committee. This BDS movement, founded in 2005, can take credit for the cancellation of Leonard Cohen's September concert at the Ramallah Cultural Palace [...]""
"Artist's comments: This artwork is related to Donald BOSTRÖM 's latest article; Our sons plundered for their organs , which announced IDF's role in stealing Palestinians organs... its a must read/spread article.."
The Anti-Defamation League (ADL) today urged the European Union to disqualify any university that adopts an anti-Israel academic boycott from participating in the E.U. 's student exchange program, Erasmus. The board of Norwegian University of Science and Technology (NTNU) in Trondheim, a participant in the Erasmus program, is slated to consider an anti-Israel academic boycott resolution on November 12. While Norway is not a member of the European Union, the Trondheim institution benefits from its participation in Erasmus. In a letter to the European Commissioner for Education, Training, Culture and Youth, Mr. Maroš Šefèoviè, ADL National Director Abraham H. Foxman noted the Commissioner's "unique position to have a positive influence" in working to counter anti-Israel academic boycotts. "Academic boycotts are clearly antithetical to the spirit and purpose of the Erasmus program to enhance academic cooperation," said Mr. Foxman. He called on Mr. Šefèoviè to make clear that "there is no place within the Erasmus program, or any of the E.U. 's Lifelong Learning programs, for institutions that adopt a policy of boycotting Israeli academics and institutions." According to the European Union, "Erasmus is the E.U. 's flagship education and training programme, enabling more than 180,000 students to study and work abroad each year, as well as supporting co-operation actions between higher education institutions across Europe." 1. Digernes has endorsed and possibly also financed a seminar-series which has been: a) organized by the same individuals who stood behind the call for boycott b) had as its primary objective to prepare the ground for the debate concerning boycott, which the NTNU board of directors wil take on November 12th c) so critical of Israel that it might as well have been offered by the Norwegian Palestine Committee. 2. Digernes has thus politicized his university, thrusting it into the forefront of a political campaign against the one country on earth with which Norway already has "strained" relations, thereby demeaning NTNU staff and students by dividing them into two political camps. 3. Digernes has avoided open debate by refusing to speak to, for instance, Haaretz and the Jerusalem Post. He primarily makes himself known through the university newspaper - Universitetsavisa - which can hardly be expected to function as a critical voice. It appears quite obvious that this goes far beyond the NTNU board merely deciding, on November 12th, whether or not to boycott Israel. Rector Digernes cannot merely wash his hands of the situation at which he himself has had such an obviously active hand. What we need to discuss now is to what extent Torbjørn Digernes has behave properly as an NTNU rector. If he has not, he ought to resign. Yet who in Norway has the political courage to go up against the Palestine-lobby, which has the power and influence to enroll the rector of NTNU in its campaign in the first place? Hopefully the lobbying is successful and Europe follows the U.S. in its rejection of the Goldstone report. PARIS (EJP, article by Maud Swinnen)---The European Jewish Congress (EJC) is actively lobbying European governments to vote against the Goldstone Report on the Gaza war when it is discussed on Wednesday in the United Nations General Assembly in New York. The EJC, which is a body representing Jewish communities across Europe, called on European and other democratic nations to challenge the ‘automatic tyrannical majority’ in the UN. Thus far no European nation has voted for the Goldstone Commission Report, either during the resolution for its mandate nor when voting for its ensuing resolution in the United Nations Human Rights Council. "I hope that this trend will continue and that Europe can enlist like-minded nations to ensure that no democratic nation votes for a resolution on the Goldstone Report," EJC President Moshe Kantor said. "We need a coalition of decent democratic nations to combat the automatic tyrannical majority that can impose its views at will by sheer weight of numbers and nothing else," he added. The EJC said it is "deeply concerned" that the United Nations structure is being hijacked by nations who want to use their voice to suppress true human rights. "The fact that the person who is pushing the Goldstone Report onto the General Assembly agenda is the Libyan President of the General Assembly, Ali Abdesselam Treki, speaks volumes about the so-called concern for human rights," Kantor said. "Nations like Libya, Iran and Pakistan, who are ranked among the worst offenders of human rights and racism, fight for power and control in the United Nations system not to serve humanity, but to deflect any criticism aimed at their authoritarian leadership." The EJC feels that many of the United Nations institutions like the Human Rights Council, the General Assembly and the Durban process do not serve the purpose they were built for. "Unfortunately, the original and moral mandate of the UN is being hijacked for political agendas at the cost of millions of people who desperately seek its help." According to Gene at Harry's Place, "Swedish public radio reported on Omar’s "anti-Zionist" movement, reminiscent of the French "comedian" Dieudonné’s unsuccessful campaign for European Parliament." Swedish radio has a segment in English on the topic. A former moderate Muslim spokesperson who last year came out as an Islamic radical wants to start a political party uniting all of Sweden's ant-Zionists. According to Mohamed Omar, a 34-year-old author and commentator born in Uppsala in eastern Sweden, he is prepared to welcome all political stripes into his new party – from the radical left and Islamic extremists to neo-Nazis and right-wing extremists – as long as they subscribe to the party's core principles. "Everyone is welcome as a part of our slogan, but no one is going to be able to push us in a certain direction. We're not going to focus on Islamic questions, but only on anti-Zionism in order to reach out to as many as possible," Omar told the Sveriges Radio (SR) documentary programme Kaliber. Omar's website features interviews with known Holocaust deniers and others who hold anti-Semitic views. The Omar of today is a far cry from the measured and moderate man who once edited one of Sweden's most respected Muslim publications, Minaret magazine and condemned protests by Muslims angered by the 2007 decision of Swedish newspaper Nerikes Allehanda to publish a drawing by artist Lars Vilks depicting the head of Muslim prophet Muhammad on a dog's body. "I think the demonstration is counterproductive and will only serve to reinforce any prejudices people have about Muslims," Omar told The Local in August 2007. "Nerikes Allehanda published the picture to illustrate a story. It's irrational to regard their decision to publish as being offensive to Muslims." According to Omar, Israeli incursions into the Gaza strip in the second half of 2008 played a key role in his radicalization. "Last week I joined a protest against Israel for the first time," Omar wrote in an opinion article published in the Expressen newspaper on January 9th, 2009. "The latest bloodbath was simply too much. I felt forced to take a public stance. But not only that. I decided to support Hamas and Hezbollah – the Islamic resistance movements." He concludes by declaring, "I'm a radical Muslim. And I say that with pride." Soon thereafter he began arguing that Zionism was to blame for a number of Sweden's problems, including the disturbances which plagued the Rosengård neighbourhood in Malmö in December 2008. "Besides, the big threat today is the Zionists. Today there are Zionists collecting money for the Israeli murder machine which used the money to burn children," Omar said on the Sveriges Television's Aktuellt news programme broadcast on January 29th. A number of former allies have distanced themselves from Omar following his radicalization, including the current editor of Minaret, Abd al Haqq Kielan. "He's basically become a full blown extremist, seasoned with a bit if Islamic spice, but he doesn't represent Islam in any way," Kielan told Kaliber. Even members of Sweden's Palestinian movement (Palestinarörelsen) had kept their distance from the new Omar. "Today he functions as sort of front man for fascism in this country and he pushes the absolutely most egregious anti-Semitic propaganda that I've seen in a long time," said commentator and Palestinian movement supporter Andreas Malm to SR. "What upset me most is that he's trying to dress it up as pro-Palestinian." "This report is also very revealing of the changing attitude of some international institutions with respect to Israel, who now want to deny Israel the right to self- defense: according to the International committee of the Red Cross, in charge of the laws of war, this right, recognized however by article 51 of the Charter of the United Nations, could not be applied against terrorists who it would be necessary to arrest and to judge as common law criminals, and not fight as enemies." The report of a commission chaired by a respected South African judge, Richard Goldstone, arrived at the conclusion that "by launching, in some cases, attacks against civilians without military objectives" (during the Israeli military operation in Gaza in December-January) the Israeli armed forces have committed "acts comparable to war crimes and maybe by certain aspects to crimes against humanity." Terrible accusation, and if the report acknowledges that the Israeli army made " significant efforts to warn the civilians before attacks", it blames them for having been ineffective and it urges Israel to conduct an independent and honest national investigation within 6 months, failing to do so will have the Israeli officers sent back by the Security Council to the International Criminal Court in The Hague. The report rightly points out that there was in this battle, scandalous blurs on the part of the Palestinians and the Israelis (who opened fire at civilians and on their own soldiers and used phosphorous shells), but it is also full of errors, revealing a fundamental question for democracies. Written at the request of a UN Human Rights Committee, where dictatorships dominate, it repeatedly refers to Israel as "the enemy" and it does not recall that the Hebrew state has withdrawn unilaterally; it does not say that Tsahal, before answering, had received 12,000 rockets fired from Gaza; it does not mention the testimonial of the inhabitants of Sderot, constantly bombarded, though questioned by the committee, but quotes at length the testimonials of Gazans all heard during televised broadcasts, that is to say in an atmosphere of terror, which leads them to deny that Hamas forced civilians to serve as human shields, which is what the leaders of this movement boasted about. Moreover, the report dares to say, without fear of ridicule, that in Israel, the only democracy in the region, exists "a repression of dissent", demonstrating an incredible ignorance of the reality of a country where a Minister of defense and a Prime Minister have been forced to resign by a march of more than one tenth of the population of the country (can we imagine a march of more than six million French people?). And Israel will surely confirm it by appointing a Committee of independent inquiry which will sanction, once more, those who have made errors, or maybe even crimes in the conduct of these operations. But this report is also very revealing of the changing attitude of some international institutions with respect to Israel, who now want to deny Israel the right to self- defense: according to the International committee of the Red Cross, in charge of the laws of war, this right, recognized however by article 51 of the Charter of the United Nations, could not be applied against terrorists who it would be necessary to arrest and to judge as common law criminals, and not fight as enemies. The other democracies should be wary: If they let Israel be treated that way, they will be the next victims of this jurisprudence, because it will be required also from them what cannot obviously be demanded from their opponents. * Amnesty International has issued 15 statements in support of the Goldstone Mission and its report since April 2009. * All four members of the commission and one of its staff researchers have conflicts of interest involving Amnesty. The close ties with the organization led to numerous citations to Amnesty publications. * At a May 2009 NGO townhall meeting with Goldstone, Amnesty presented a detailed outline for the investigation. Their recommendations correspond to the framework of the public hearings and the final report. * Diakonia, Oxfam, Trocaire, Amnesty-Europe, FIDH and Palestinian NGOs - Adalah, PCHR, Al Haq, etc. - have used the Goldstone report to bolster their calls for “war crimes” cases. This lawfare includes international (ICC) and universal jurisdiction forums.